Would you like to start composting at home but don’t know how? Norfolk County Council will be holding a number of FREE compost workshops for beginners* to show you how easy it is to start and be successful. The workshops will be held around the county starting in May and will run through to the end of September 2019. The 2-hour workshop will be delivered by our Master Composters and will include all you need to help you start composting at home, including a free 220L compost bin** for each participant that completes the workshop. *Workshops are open to Norfolk, UK residents only. **Compost bins will only be delivered to a Norfolk postal address. 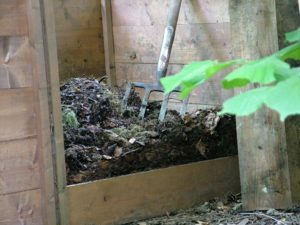 Below is a list of the compost beginners workshops for 2019. Booking is essential. If you are interested in attending one of these please complete a booking form. The Charles Burrell Centre, Thetford. Thursday 4th July 2019, 11.00am – 1.00pm. South Wootton Village Hall, South Wootton. Wednesday 10th July 2019, 2:00pm – 4:00pm. Downham Market Town Hall, Downham Market. Wednesday 24th July 2019, 6.00pm – 8.00pm. Community Roots, Great Yarmouth. Thursday 1st August 2019, 2.00pm – 4.00pm. Martham Village Hall, Martham. Wed 7th August 2019, 6.00pm – 8.00pm. East Runton Village Hall, East Runton. Thursday 15th August 2019, 11.00am – 1.00pm. Fakenham Community Centre, Fakenham. Wednesday 4th Sept 2019, 6.00pm – 8.00pm. Roydon Village Hall, Roydon. Wednesday 11th Sept 2019, 6.00pm – 8.00pm. Brian Clarke Meeting Room,Chedgrave. Monday 23rd Sept 2019, 10.00am – 12.00pm.